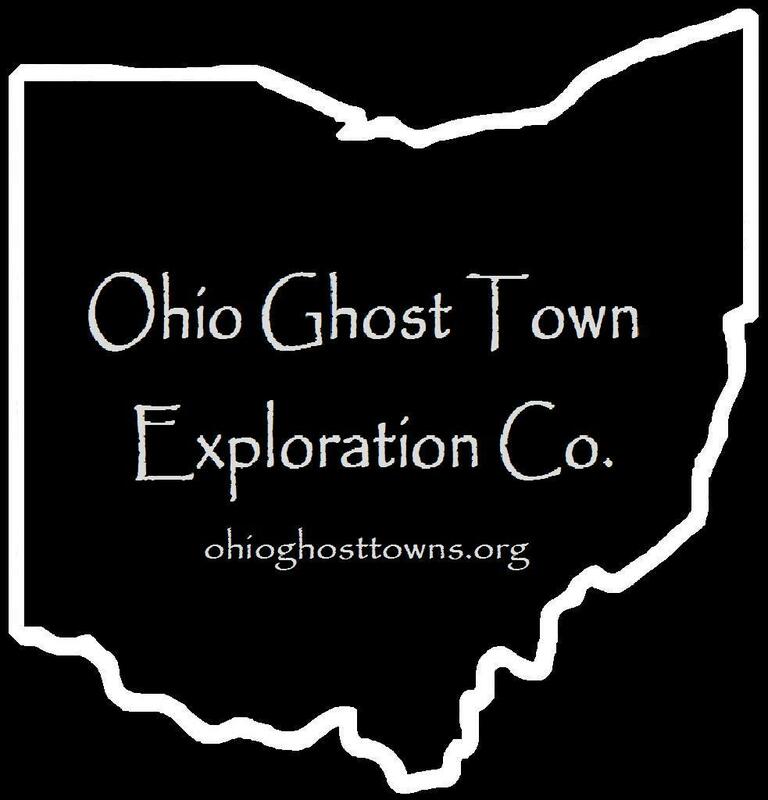 Logan County – Ohio Ghost Town Exploration Co. Description: Belleville was platted in the mid-1810s as the first town in Lake Township & was intended to be the future county seat. Its proprietors also wanted Logan to be named Belleville County. Neither of those hopes ever happened. The location was about 1/4 mile south of the county fairgrounds on Lake Ave somewhere between US 68 & Ludlow Rd (County Rd 1). Edwin Mathews built a tavern in Belleville, Dr. Emanuel Rost ran a general store, & there was a distillery along Blue Jacket Creek close to its railroad overpass. Belleville quickly attained a reputation for being a rough & rowdy town, which at least partly led to its early demise. Bellefontaine was platted just to the north in 1817 & quickly attained the plans Belleville once had. Some of Belleville’s residents moved to Bellefontaine & the rest of its buildings were left to be overtaken by time & nature. Description: It was a Native American town named after Delaware Lenape Chief Buckongehelas (1720 – 1805). He was one of the signers of the Treaty Of Greenville in 1795. The location of the town was about 3 miles north of Bellefontaine along Bokongehalas Creek. Description: Robert Edminston, Dr. Saumuel Morton, & Alexander Thompson platted Cherokee in 1832. It became an important stagecoach stop & had 2 hotels, several stores, 3 blacksmiths, 2 wagon shops, & a few saloons, schools & churches over the course of its existence. Joseph Robb (1810 – 1865) was the town’s first postmaster & also ran a general store. He was buried with relatives in Zanesfield Cemetery 11 miles southeast of Cherokee on Co Rd 153. As promising as the towns future was, it missed out on attracting the Mad River & Lake Erie Railroad which ended up going through Huntsville instead, platted in 1846 just a mile northwest of Cherokee. The stagecoach business & hotels of Cherokee instantly suffered due to the railroad & kept the town from growing. Kemp Carter (1807 – 1881) from Virginia was the town’s last postmaster. He was buried with relatives in Harrod Cemetery. Cherokee was down to around a dozen residences in 1800 & made its mark on the 1890 county atlas. It’s still a populated place & pops up on Google Maps, but the old town is gone & there are newer residences in the area. Description: The town was founded on land owned by Mary Magdalene (Rudy) Jasinsky & John Frederick Jasinky (1790 – 1868) from Pennsylvania. It was passed down to Mary by her father Jacob Rudy Sr. (1763 – 1844). The Jasinsky family were farmers & ran a general store near the intersection. John was the town’s postmaster. Although they intended to eventually plat the town, that never happened & Downingville faded away after losing its post office. John & Mary were buried at the southern edge of their farm next to Township Rd 273. Jacob Rudy was buried with relatives in New Salem Cemetery 3 miles southeast of town on the south side of SR 540 between County Rd 5 N & Township Rd 126 in Jefferson Township. Description: Flatwoods was an African American settlement founded in 1854 by Christopher Williams (1822 – 1872). A Baptist meeting house in the northwest corner of the intersection & a school on the south side of County Rd 119 were constructed around 1864. Solomon Day Jr. (1841 – 1883) was one of the first teachers. A frame church was built next to the school in 1879 & was used by the town’s Baptist & Methodist congregations. Christopher Williams was buried with relatives & residents of Flatwoods in Day Cemetery about 5 miles southwest of the GPS coordinates on the south side of T-127 between Co Rd 12 & Township Rd 126 in Jefferson Township. The cemetery was established in 1842 on land owned by Solomon Day Sr. (1788 – 1855) from Virginia & Ann (Barnhill) Day (1801 – 1872) from Pennsylvania. Description: It’s unclear exactly when the town went by its 2 different names, but it was along the Cincinnati, Sandusky, & Cleveland Railroad. There was an older church structure listed in the 1875 county atlas at the site of current-day McKees Creek Chapel. A school (Liberty Township No. 4) was on a 68 acre farm northwest of the GPS coordinates between T-188 & US 68 near the present end of Virginia Dr. David K. Hooley (1843 – 1904) & Phoebe (Hartzler) Hooley (1845 – 1901) owned the farm during publication of the 1890 county atlas. By that time, the Yoder family accumulated over 1200 acres of land spread throughout the township. Some early residents were buried in McCraken Cemetery north of McKees Creek. Although it is on private property, the cemetery is well taken care of & access can be obtained. David & Phoebe Hooley were buried with relatives in Fairview Cemetery 3 miles south of the GPS coordinates on the west side of US 68 in West Liberty. The Yoders had a huge family & hundreds of descendants. Many were buried in Fairview Cemetery & Yoder Cemetery 3 miles west of the GPS coordinates on the west side of County Rd 1 between E – T190 & E – T30. Description: The proprietors of the post office were Israel Howell from New York & Elizabeth (Hill) Howell who were married in Logan County in 1826. Israel was also former justice of the peace. William White platted North Alexandria at the location in 1832. It was often referred to as White Town. John Fry & Felt Bowers both ran general stores & the town had a log schoolhouse. We were unable to find extensive genealogy records on the town’s main residents. They were likely buried with currently unreadable gravestones along with their relatives in Miami Cemetery. John Deerwester Sr. laid out the cemetery in 1832 & ironically became the first interment. Over 20 of the residents buried in the cemetery reportedly perished from “milk sickness”, obtained by drinking milk from cows that were eating a poisonous weed called white snakeroot. The numbers of affected citizens in the state & Midwest were reduced as the land became better cultivated. Description: This Shawnee Native American town was partially on the grounds of Mac-A-Cheek Castle & had a council house. Famed frontiersman & war veteran Simon Kenton (1755 – 1836) was forced to run the “gauntlet” 9 times while in captivity, including one at Mackachack in 1778. The town was later destroyed by a detachment of the Kentucky Militia on October 6, 1786 led by General Benjamin Logan (1742 – 1802). Some of the Native American artifacts put on display by Abram Sanders Piatt (1821 – 1908) in Mac-A-Cheek Castle were acquired from remains left by the Shawnees of Mackachack. Description: The town was founded by Adam Franks (1821 – 1909) from Columbiana County & Rhoda (Page) Franks (1825 – 1892) from New York. They were married in 1841, had 4 children, & a 160 acre farm. Adam was a carpenter, served in the Ohio Volunteer Infantry, & was the town’s postmaster. The Franks moved around a lot, living at various times in Illinois, Iowa, & Tennessee, but ended up back in Ohio. Mark had a school (Stokes Township No. 8) north of the GPS coordinates on the east side of Co Hwy 23 on land owned by the Powell family & a Methodist Episcopal church in the southwest corner of the intersection of Co Hwy 23 & Myers Rd. Adam & Rhoda Franks were buried with relatives in Plum Cemetery 6 miles southeast of town on the north side of Co Rd 54 between C-60 & SR 235 in Washington Township, Shelby County. Description: It was a Native American trading post town along McKees Creek about 4 miles south of Bellefontaine. The proprietor was British immigrant Alexander McKee. Description: Mount Tabor was a farming town that revolved around the church & had a school on the north side of T-215 (Township Hwy 215) off of SR 235. Description: This is another former farming town centered around its church. The first church was constructed in the mid-1850s on land owned by Martin Pence (1800 – 1859) from Shenandoah County, Virginia & Rebecca (Higgenbotham) Pence (1817 – 1883) from Brown County. They were married in 1842 after Martin’s first wife Susannah (Maggart) Pence (1802 – 1840) passed away. The Pence family cemetery was established in the lot on the east side of the church & has since been lost to time. The gravestones of Martin & Susannah were found on the farm to the east laying up against a tree & are listed on Find A Grave. The current church structure was remodeled in 1998. The town’s post office was called Muchinnipe. Joseph Wright (1790 – 1854) from Fairfield County was the first postmaster. Moses Smith (1819 – 1899) from Pickaway County took on the position after Joseph passed away & held the office for its last 18 years. Rebecca Pence, Joseph Wright, & Moses Smith were buried with relatives & other residents in Plum Cemetery 2 miles southeast of the GPS coordinates on the north side of Co Rd 54. Description: It was a Native American town near Bellefontaine that had a few cabins around the year 1800. Description: It was a Native American Wyandot (Wyandotte) town on the west side of the GPS coordinates. Chief Tarhe “The Crane” (1742 – 1818) resided at Solomonstown for a while. More of his story can be found in the listings in some of the other counties. The land was later purchased by the Liggitt family. Description: The town was founded by William Tharp (1779 – 1853) & Mary (Epley) Tharp (1794 – 1878) from Union County. They moved to Ohio from New Jersey, had a few children, & owned the farm on the south side of Mt Crest Dr across from the cemetery. A Baptist congretation formed in 1819, first meeting in a log chapel. They constructed a 30 x 40 feet brick church next to the cemetery in 1845. It was on land owned by Lewis Crouse (1816 – 1884) from Pennsylvania & Elizabeth (Kaylor) Crouse (1825 – 1903). They were buried with relatives in Mt. Zion Cemetery at the intersection of C-55 (Co Rd 55) & T-182 (Township Hwy 182) west of the GPS coordinates. William & Mary Tharp were buried with relatives in Tharps Run Cemetery. The Cleveland, Lorain, & Wheeling Railroad arrived in the area in the late 1800s, but it was too late to make any impact on Tharps Run. Description: Thatchersville was a small plat on the south side of De Graff. Samuel Thatcher (1829 – 1885) from Virginia moved to the area in 1870 & built a steam-powered saw mill with a lumberyard in the vicinity of the intersection. His brother Henry Thatcher (1843 – 1915) born in Greene County joined the business in 1877. Thatchersville was listed in the 1875 county atlas & was annexed into De Graff prior to publication of the 1890 county atlas. Samuel & Henry were buried with relatives in Greenwood Cemetery a mile north of the GPS coordinates on the west side of SR 235 (Cretcher Ave). The Piatt Castles in Logan County were built by the sons of Judge Benjamin Piatt (1779 – 1863) & Elizabeth (Barnett) Piatt (1780 – 1867). Both of them were started in 1864. Abram Sanders Piatt (1821 – 1908) constructed Mac-A-Cheek Castle which was completed in 1871. His brother Donn Piatt (1819 – 1881) built Mac-O-Chee & it was finished in 1879. Abram was a politician, poet, & farmer & Donn was a journalist & poet. They accumulated large collections of oddities & interesting artifacts from around the area & displayed them in the castles. The surrounding town had a post office from 1881 – 1888. The Piatts were buried in Mac-A-Cheek Cemetery on Township Rd 47 about 3/10 of a mile south of the castle. Tours were started by family descendants in 1912 & still continue to this day.